When Gucci teased its Pre-Fall 2017 campaign at the beginning of the year with a series of elusive casting videos, featuring only models of color, we didn't know exactly what to expect — aside from the possibility that these individuals, who auditioned with Midland Agency in London, would likely dance and channel their inner spirit animal for the job. On Thursday morning, the Italian fashion house finally released the official ad campaign and, damn, did Alessandro Michele deliver. The new imagery arrives shortly after Gucci's announcement of its upcoming Cruise 2018 runway show, which will take place in Florence, Italy. Titled "Soul Scene," the Pre-Fall 2017 campaign, photographed by Glen Luchford and art directed by Christopher Simmonds, does indeed showcase an all-black cast of models — Nicole Atieno, Elibeidy, Bakay Diaby and Keiron Berton Caynes — and more than 20 dancers. Creative directed and styled by Michele himself, the campaign was initially inspired by the exhibit "Made You Look," which took place at the Photographer's Gallery in London last summer and focused on black masculinity and dandyism. Michele referenced one particular featured artist, Malick Sidibé, whose portrait work is mainly inspired by the nightlife and youth culture of his hometown Bamako, Mali, in West Africa. 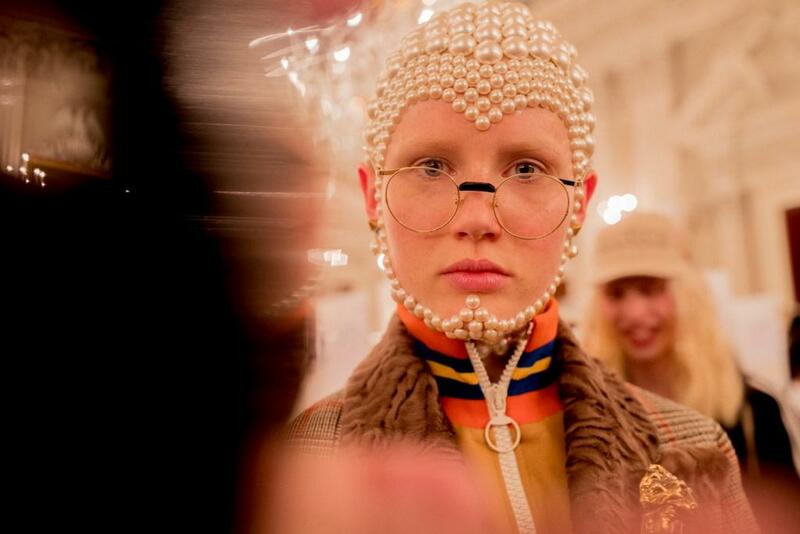 Gucci's creative director highlighted England's '60s-era underground music movement called Northern Soul for the campaign, having the models party, dance and pose within the Mildmay Club in London.